Locality: United States, Colorado, Moffat, Along road from Greystone to crossing of Little Snake River (Hwy. 10). 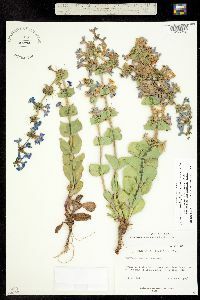 Notes: Penstemon mucronatus N. Holmgren, det. by W. A. Weber, no date. 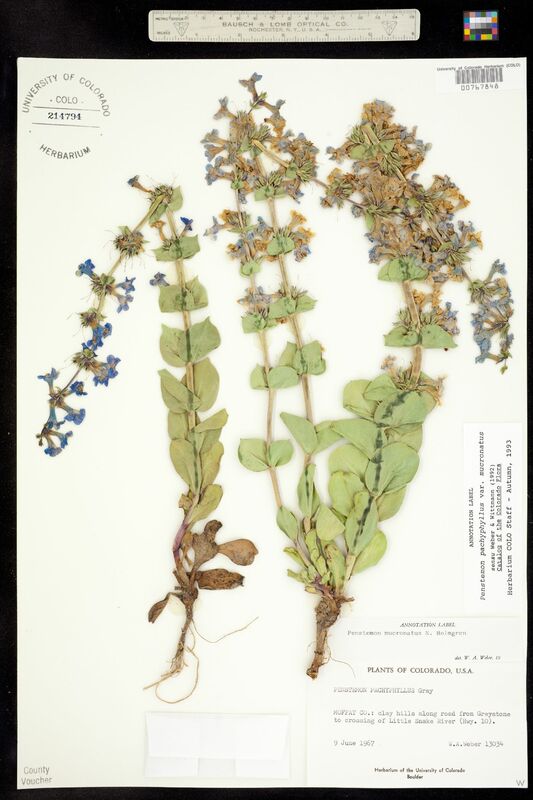 Original ID: Penstemon pachyphyllus Gray.